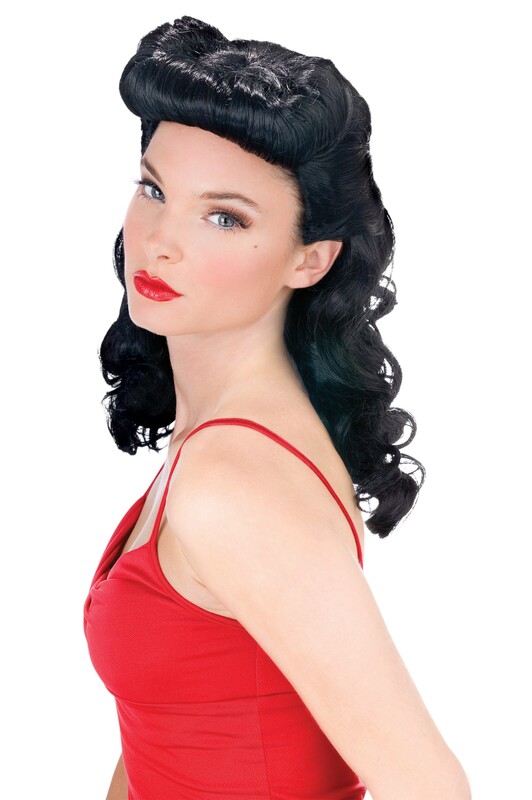 This wig is black in pin up style. One size fits most. Does not include top.